Here are some responses to the questions that as professional photographers we often get asked. While we have included some of the usual suggestions often found in wedding magazines, we’ve also personalized our answers to share some of the topics we find most interesting. How do we describe our style? Have we captured a wedding like yours? Do we hold or pencil in dates? Do we have backup equipment? What is a retainer and what is the amount required? Do we shoot together or separately? Will we be the photographers on your wedding day? Why choose the Edmonsons as your wedding photographers? What do we mean by High Visual IQ? How many weddings do we shoot a year? What does natural light photographer mean? My coordinator is taking care of everything isn't that enough? What is the online client center? Are there travel fees to shoot a wedding in Houston or Austin? 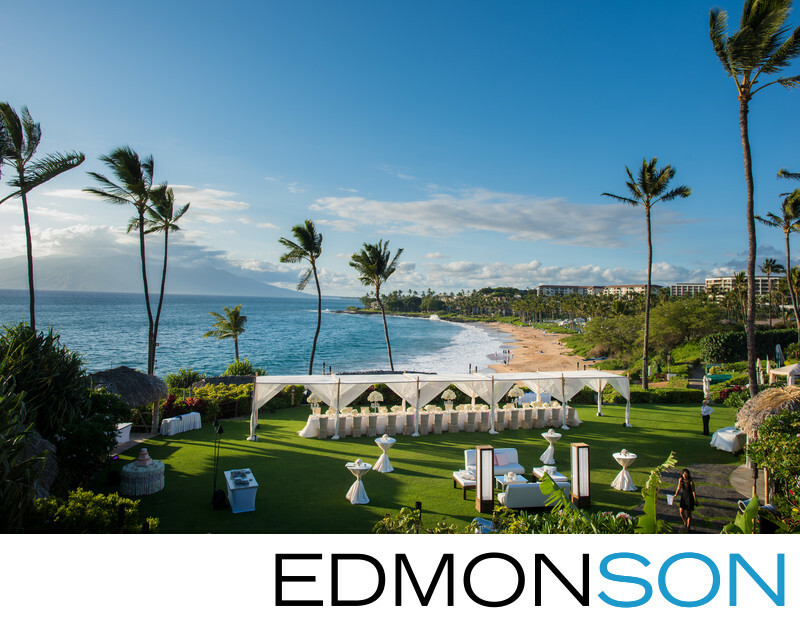 Who pays travel & lodging for a destination wedding? What do we wear to a wedding? Do we work with assistants? Our family friend wants to take pictures. Can they? Can we provide a shot list or inspiration board? If somethings are running behind, can we add more time? Do we eat on the wedding day? What if we get sick, hurt or die? What happens as part of our standard post-production? When will you receive the downloadable digital files and print release? What are the options when someone missed being in a picture? Can we get a retouched photo for our holiday card? Can we get the RAW files or Photos that didn't make the cut? I found our photos on the web. Can I post or purchase them? What is our copyright policy for photos & text? Is Nikon really better than Canon? Why do we set our cameras to preview in black and white? Do we teach or hold workshops? Can I just follow you around and watch you work? Do we have a mentoring program? Do we take on interns? I'm a new photographer, recent graduate, or new to the area. Are we hiring? It’s important for us to know the “why” behind your decisions. Maybe you found us on your own and started imagining us capturing your big day. If a past bride, friend, or wedding coordinator shortlisted us as someone you should check out, our answer might surprise you. We believe in expertise, personality, and heart. We’ve been fortunate to have been trusted to capture over 1000+ weddings for our clients. Each is different, and each taught us something new. We bring that expertise and knowledge to every new wedding commission we take. When we speak at conferences to newer or seasoned professionals, one of the tips we share is that if you don’t have a personality, get one and get one fast. It's not enough to be good at what you do. Being likable and loving others is a different expertise. We believe our cameras are simply our way to love others and help influence their lives. That means we have fun together while we capture your important memories. We also believe that hearts matter. On one level a wedding a love story. Your love story. On another level, it’s about how we view how we can best serve you. Photography for us is more than a passion. It’s our lifelong calling. So why do we do it? Wedding photography is about connections and creatively exploring those narratives is interesting to us. Who are we? We are wedding photographers, and we'd love to shoot your wedding. What do we mean by “High Visual IQ”? People with high IQ’s see the world differently. Their visual perception is more discriminating and more discerning. These individuals see the differences between average, great, superior, and excellent. Our typical couple isn’t the stereotypical couple. Beyond your love for each other and your families, you want something much better than what wedding magazines, blogs and Pinterest say is modern wedding photography. You appreciate that we are fine wedding specialists. The common denominator is that you can see the difference in our photography. You see our high level of artistry, refinement, and storytelling. Perhaps you also have an appreciation of the Arts in general. Or maybe you recognize quality when you see it. One of the most common questions a wedding magazine or blog suggest asking a photographer is “How would you describe your style?” Our answer to this is simple. Our style is Exceptional, Beautiful, and Intentional. From time to time, we will shoot the “Ring by Spring” college bride or the Park Cities bride who is very into having a “Big Party.” Typically, we then learn it’s because someone else made that decision on their behalf and they recognized the value of what we do. Our passion is always to pursue excellence and our calling which is loving others. We express our talents through our artistry and our heartfelt love for others. Why do we start with availability you might ask? Every invitation begins with a date. First, contact us by e-mail or by phone. When you e-mail us, our back-end system automatically cross-checks the date you’ve mentioned and lets us know how to best respond. If we are not available, we are happy to assist you any way we can by providing referrals. Our industry relationships mean we can easily provide you with a variety of recommendations appropriate for your desired style, coverage, and budget. Even though we can’t shoot your wedding, we still want to take of you and may know someone who can. We’ve learned that kindness never goes out of style. When we have availability, your next step will be to make an appointment to meet with us, or you can skip directly to booking. We host our meetings in our home based studio in the Dallas suburb of Plano, TX with by phone or via Skype for any traveling and busy professionals. During our time together we will listen to your vision for your special day and showcase the range of services and product options we have available for your consideration. We would say it’s constantly evolving because we continue to become more refined. As creative artisans, we are always learning and growing. How do you see us? Do you see beautiful moments, intentional storytelling? Can you picture yourself in one of our photos? You might ask how many weddings have we shot? Since 2002, we’ve captured 1000+ weddings. No two weddings are alike of course, but there are generalities. Of the wedding we’ve shot, 200+ are Indian and South Asian weddings. Of course not! Why? Because never has there been a wedding exactly like yours! As wedding photographers, we are in the business of beauty. After all, you've invested a lot in planning your wedding, and we understand you’re going to want to look your best. Are we familiar with different faiths, cultures, and traditions? Yes, absolutely! And what we’re not sure of, we research and find out. We know that Orthodox Jewish weddings won’t involve dancing between men and women during the reception. But later after midnight finally, the Groom will get a chance to dance with his Bride. We know that a Gujarati mom will grab the Jaan’s nose when she receives him. We know that Ismaili Pithi’s are legendary, and a Muslim Nikah is a sacred covenant. Hindu, Catholic, Sikh or Christian – every wedding is a day when two become one. From gardens to beaches, churches to ballrooms, private homes to courthouses, we’ve captured weddings held on countrysides or even mountain tops. From laid back destination weddings in Mexico to multi-cultural affairs in Austria and Italy, we’ve traveled the world thanks to our cameras and Global Entry. We will never forget the traffic in New Delhi, the vistas in Tanzania, and feeling like we were at Mr. Darcy’s manor in England. Maybe you want to know if we are just as comfortable shooting a casual backyard bar-b-q reception as we are shooting a formal seated dinner. The answer is a resounding “Yes”. We look forward to hearing about the special vision you have for your day. We added weddings to our mix in 2002. Our commercial side, Edmonson & Father Photography began in 1983. If you head back to David’s father who was called “Red,” then our family’s love affair with photography started in the 1940’s. Of course, we do. Not only are we professionals, but because we are now three generations of photographers and we’ve collected an ever-growing arsenal of equipment. On your wedding day, we carry redundancy across the full spectrum, from our camera cases to lighting and all foreseeable contingencies. Not typically, but we know when a particular location or event might require one. In those cases, we will make the arrangements we think are best for the situation, so we will be sure to deliver our best work for you. A wedding is not the same as a typical commercial photo shoot. We work hard to find the proper balance between having enough hands available for things to run smoothly and so many that it changes the dynamics of a room and makes it feels like a production. We’ve found that if want to work quickly and intimately, it’s best to keep the numbers of participants to a minimum. Do we work together or separately? We love to shoot together. It’s the original reason we added weddings to our mix. That said, sometimes budget comes into play, and it may be all someone can do to bring in one of us to shoot. For larger affairs and couples who desire 2 Master Photographers’ both working their magic, we believe the two of us make a powerful duo. When we work separately, part of our job is to ensure we manage our 2nd photographer, observe what they are getting and circling back around when needed to make sure they captured all the expected or relevant photos. When we work together, we naturally trust each other to operate independently and like any other great team, we can anticipate what the other is thinking. That connection allows us to deliver even more of our signature work. Will we be your wedding photographers on your day? While that is a reasonable question if our company name was “Picture Perfect Wedding Photography”, the fact is that our company name is our last name. That shows our personal investment in what we do. There are no Edmonson Weddings without David or Luke Edmonson. To that end, except for Indian pre-wedding events where you can choose to hire one of our associates to save money, anything and everything we do is led and done by one of us. This question most people wouldn't think to ask outside of products or services in a package. Our answer may surprise you. Our biggest gift to you is that we give you our hearts. There are a lot of stories we can tell you, and perhaps one day we will write a book about those unique moments when the greatest act we could do was to put our cameras down and love someone. People often know how to react when something doesn't go as planned or you experience the natural emotions of your wedding day. Our empathy and love not only allow us to capture intimate photos; they also let us make your special day go a lot smoother. A good rule of thumb is 75 to 100 deliverable photos per hour of coverage by either David or myself. That number doesn’t dictate how much we will shoot. It’s how many pictures you can expect delivered after the wedding is over. When we are capturing your day, we don’t spray n' pray, and we don’t undershoot. We are intentional in our focus and our goals. A typical 8-hour wedding might provide 1000-1500 photos that tell the story from beginning to end. Although we have shot as many as 125 weddings in a year, doing 2 or more weddings in each weekend, we were both bachelors at the time. Seasons in life change and we now place a significant emphasis on spending time with our growing family. Today, we limit the number of commissions we accept to roughly 20-25. What does natural light photographer mean? How do we light? Photography terminology sure can be confusing? All of us are familiar with a camera but learning all the camera lingo can be education unto itself. Natural light photographers and available light photographers are photographers who rely solely on the natural light occurring from the sun or the lights within a specific scene. We certainly love natural light, but when the situation calls for it, like during family formals, dramatic couple portraits, dark reception areas, or an early winter sunset, we are very comfortable using a variety of different ways to light a scene. Can you imagine how disappointed you might be if you hired a California wedding photographer based only on their portfolio filled with beautiful shots of couples in a field during “Golden Hour” only to find out that they don't know what do with your indoors Dallas reception? Within the industry, professional photographers view our lighting skills as something few others can emulate. Do you hold dates or pencil in dates? Our policy about penciling in dates isn't arbitrary. We've learned that holding dates sounds good, but ultimately penciling in can cause frustration. So we do not offer that choice. By keeping our reservations on a first-to-book basis, we eliminate hurt feelings, missed communication, and/or preventing another bride from fulfilling her dream of booking us. We’ve learned over the years that no one likes surprises. So if you or your coordinator has checked our availability, the next step is to set up a consultation or skip directly to booking us. If you get busy planning your wedding and let some time go by, there's nothing wrong with checking with us again. Why some weekends become the “hot” dates, every year is difficult to predict. There are, however, a few generalities to know. Three-day holiday weekends are extremely popular with the Indian and South Asian communities or those planning destination weddings. Your family and guests don't have to take as much vacation time, and local brides don't have their anniversary compete with outside distractions. Religious dates like Christmas and Easter weekends are popular with those who do not celebrate those days. Texas/OU weekend weddings are popular with those who didn't go to either of those schools. Everyone also has a favorite time of year-- Winter, Fall, Spring or Summer. When most people think of weddings, they think of those they've seen before and what their peer and social groups might typically do. There are those that can only imagine their ceremony in their church or place of worship and those who prefer a different location or venue. Setting your date is one of the first things to check off your list. Finding the delicate balance between your personal, family, and professional life is the start of your journey as two become one. Once you do, contact us. If the first thing you did was reach out to secure your wedding venue, you might have been surprised how far in advance our bookings can be. Don't wait. The DFW wedding market is the 2nd largest market in the United States. With over 55,000 weddings happening each year, it’s not hard to keep our schedule fully booked. While the busiest month of June has on average 4,500 weddings even the slowest month, January averages 3,500. We aren't sharing anything here you already haven't found out or will find out for yourself. Our approach is very low pressure. We don’t use specials or tricks to entice you into booking with us today or right now. We want you to feel a sense of peace that we are the right fit for you. That's why the most you will ever hear from us on the topic is this discussion. Greater than a year: This bride is thoughtfully planning her wedding, getting all of the vendors that she wants for her team and the date of her choice. The wedding of her dreams may be a bit more than she can budget for on a shorter timeline. 1 Year: The average amount of time couples most spend planning their wedding. At this point, the greater than a year crowd has already secured the best wedding venues and vendors in the area. While not in a panic, the bride or her mother will typically make remarks that they were surprised to learn that some people booked the ceremony site and reception venue before they even became engaged. Greater than 9 months: With a bit more nervousness in their voices, they no longer start with how much do you cost? They ask the next best first question which is, are you available? Ordinarily on the other end of this conversation is an anxious bride or mother of the bride who is trying to help her daughter out while she is at work. We do our best to assist even when people can’t afford us or we don’t have availability. We want to help eliminate your stress. 6 Months: This group wakes up to look at their calendar and sees the wedding only 6 months away. It’s time to start checking lots of things off their list! They have already begun to realize that something is going to have to give by waiting this long to get started. Maybe that’s okay with them. It's no right or wrong choice and nothing to worry about if you are not that particular. For as many brides who have dreamed of every detail of their wedding day for years, there are just as many who aren’t picky at all. Just give them the man of their dreams. Less than 6 months: This is where wealth, influence, and connections come in. This type typically throws money at their problems and expects all things to sort out quickly and correctly. We’ve shot platinum affairs where the photographers were booked two weeks before the wedding. Last minute weddings are always the hardest wedding plan to accept bookings for because of our personal commitments and other plans that may need to flex a bit to make it happen. We carefully consider each one of these requests, but individually. We love DFW wedding planners, as they are a valuable part of the preparation and execution of your wedding. Their general approach is to guide you by narrowing down your choices, so you don’t feel overwhelmed. Typically, they simplify tasks by providing you 3 choices to look at, but when/if you need more, they give you more. It may seem easiest to have planners “take things off your plate” and do the work for you. It's natural to believe that's what you’re hiring them for after all. While that choice can be great if you have them picking up the Tuxes or dropping your dress off for preservation, it’s often a mistake when you leave it just up to them to book your wedding photographer. After your event is over, there are very few people you will continue to work with afterward. Your wedding photographers are one of them. Many brides get close to their wedding or return from their honeymoon and suddenly realize they have no idea what they booked. Our online client center gives you 24/7 access to your agreement, payment history, and wedding details. When someone else is taking care of things for you, often brides have no idea that they have convenient access to these answers. Did you book us for rehearsal dinner, bridal luncheon, or an early start time? When exactly does your coverage begin, and how long does it last? Did you include an album at booking or is it a separate purchase? How long does post-production take before you see your wedding photos? Of course, we are only a phone call away and are more than happy to answer any of these or other questions. You wouldn’t leave it up to someone else to pick your wedding dress. At the very least, personally, direct the booking process by becoming familiar with the available commissions, creating your collection, and then transferring the work to someone who can do the legwork for you. That's a great question to answer and to understand well. When you complete our easy booking process, make your selections, sign the agreement and pay the retainer, we agree to provide you the goods and services you have chosen and reserve your date. An example might be 8 hours of coverage by both David & Luke Edmonson on your wedding day, with a bridal portrait session, 16x20 & 18x24 print credits, and a 50- sided (pages) wedding album. Our retainer amount is then 50% of your collection. Note: It's easy to make changes to your collection after booking, so there is no pressure to know everything you might want later when choosing your wedding commission now. Our booking system automatically calculates the amount based on your selections. You can choose to pay online with most major credit cards or just mail us a check payable to Edmonson LLC. When we sign the agreement and receive your retained, we agree to set aside your date in the future and fulfill the terms of our arrangement. You are advancing us a fee to secure our services. The retainer remunerates us for any lost opportunities to accept other employment. In simple terms, once you book us, we stop letting brides know we have that availability, provide them other referrals to help them in their search, and lock your date into our schedule. 50% is due at the signing of the agreement, which reserves the date. The remaining balance due 30 days before the event. Any additional coverage added before the wedding day is due on the day of the event. We will bill overtime requests on your wedding day after you return from your honeymoon. Our billing system can accept Visa, Mastercard, Discover and American Express. Please make checks payable to Edmonson LLC. While Cash can be accepted all in-state goods and services are subject to TX Sales Tax, which is currently 8.25%. We have considerable experience with the nuances of different cultures and types of weddings and well know the kind of effort it will take to do the job exceptionally well. If you are the type of person who loves wheeling and dealing, your wedding probably is one we will choose not to accept. The foundation of any relationship we believe is trust. We are not trying to be the biggest, cheapest, or most affordable DFW wedding photographers. We'd rather keep our heads down, work hard, push to be our best and your best. Our online client center puts you in control of choosing what is best for you and your family. Our wedding collections begin with your choice of our available wedding day commissions. When you are ready to book, simply let us know, and we will send you the booking e-mail to get the process started. The client center provides 24/7 online access to your agreement, payment history, and correspondence. We love shooting weddings in Austin and Houston, TX! To make it easier to book us, we don't charge for the time or costs it takes us to get there. The only additional expense is the cost of lodging for any night(s) that are necessary to give you the coverage you desire. For example, a 4 pm start time lets us arrive the day of and only need a room for that night. If we are shooting a rehearsal dinner or beginning our coverage before noon, then we come the night before, so we are fresh on your wedding day. You should have a good idea of a ballpark amount already as you've already likely made your personal travel arrangements. Of course, as you can imagine, the travel and lodging necessary for us to perform our duties and serve your family at a destination is an additional expense you will need to include in your budget. While we reserve the right to make our own arrangements to accommodate our scheduling needs, we are very open to looking into creative ways to minimize your expenses. Perhaps you have airline miles or reward points that can be used to book our flights or have a relationship with a friendly travel agent. Bringing us to your destination wedding does not have to be difficult. Our passports are updated, and we are also members of Global Entry. Plus, while there, we can look for an opportunity to do a casual couples shoot with just the two of you. Legally, whoever signs the agreement and pays the retainer is our client. That’s why we encourage couples involvement in the decision-making process. When you let someone else handle your affairs, there are tradeoffs to having that convenience. Collections naturally accumulate more over time naturally don’t they? We’ve observed that most of our clients have discretionary income. What they don’t like is manipulation or surprises. We don’t like surprises either when we are consumers. That’s why we make all of our pricing information available to you right from the start. The minimum to reserve a date is a wedding commission. You can add more to your collection when booking, before, or even after your wedding. A typical scenario is adding rehearsal dinner coverage the week of the wedding. How are you supposed to know the number of hours you will want to have a photographer available until you figure out all your plans? What’s useful to learn ahead of time is pricing so that you can plan ahead. Other typical scenarios are adding an extra save the date, an engagement shoot, a bridal portrait session before the wedding, or ordering prints, wedding albums and framing after the wedding. Just like one of our favorite TV shows we wear "Suits". We believe in being appropriately dressed for an occasion. Our favorite brand is Ted Baker because we are fans of the English style. IE. Your special out-of-town friend who isn't a bridesmaid and you haven't seen in years. We have learned through experience that a shot list is simply your way of sharing what's personally important to you. We also remind you that a wedding is a live event. Choosing the 100 best wedding photos on Pinterest doesn't mean that on your wedding day, the conditions will be right or favorable to duplicate everything you fancy online. When you supply us a shot list, we estimate how much time to set aside to accomplish your list. That assessment will help you make your final decisions. We also want to leave time we can dedicate to creating new and original concepts just for you. Someday another bride may be incorporating your signature pieces in her own inspiration boards. Often people who don't know what to do in life imitate or emulate others. It is said, and we believe that comparison robs joy. What's special are people who create things that are new, novel and different. It's our privilege to put our gifts and talents in service to creating for you! Not only do we work with you ahead of time to predict the unexpected, but we are also always available for you on the day of the event to meet your needs. We don't leave without your knowing it ahead of time and agreeing to our departure. An Indian wedding can be like this late in the evening with no formal exit or end. Usually, we are booked to cover an hour or so of dancing and then it's agreed for us to leave. If the events of the day are running late, we will discretely touch base with you or your appointed representative. Any overtime agreed upon will be billed once you return from your honeymoon. Do you eat on the wedding day? Yes, of course, we need to fuel ourselves as we will be working 8- to 14-hour days with few breaks and constant motion. Smart brides make sure we eat when they do. Talk with your caterer, hotel staff or coordinator ahead of time and inform them of your desire to feed your photo and video team at the same time you eat. That way, we are all on your schedule and available if you happen to walk around to greet your guests or want to sneak off for a few minutes to grab a sunset or night shot. Being a professional means being prepared for contingencies. Thanks to our incredible network of industry relationships, should anything ever happen to one of us between when you book and your wedding, they have our back. We help others and know our friends will do it for us. The most difficult adjustment is not finding truly excellent talent to take our place. It’s also overcoming the general disappointment of something not going according to plan. If one or both of us were to die, we could guarantee one or both of us won’t be at your wedding. Our relationships within our industry mean you can have full confidence that someone will make sure to cover all our scheduled dates. Depending on timing and availability, we’d consult with you and offer you our suggestions. If we are not capable of fulfilling all or part of our agreement, we would be the one’s breaching the contract, thus making possible a proportional return of all monies paid minus any services and expenses successfully rendered. If something happened at the last minute, such as an accident driving to start your preparation coverage, we’d reach out to our local community. As Past-Presidents of the Dallas Professional Photographers Association, we have more than 225 active members we can immediately ask for help. The priority in an emergency situation such as this kind is to make sure the impact to your wedding day is minimal. The last thing you need to be worrying about is finding a photographer at the last minute while you’re getting your hair and make-up done. Afterward, we’d work out all the details with you regarding the appropriate next steps to take. These are cases in the extreme. We want you to know that we've thought them through carefully and precisely. You bet we do. If your wedding or reception venue requires that we add them as an Additionally Insured, that’s not a problem. We carry a $2,000,000 policy that protects us. We also are covered by a form of Malpractice Insurance in the unlikely case something goes wrong like equipment or computer malfunction or some other accidental error we commit. More important than insurance is our character. We believe there is nothing better than your good name. Since our last name is our company, we take that name very seriously. After your wedding, we make multiple backup copies before we go to bed. The originals are left on the camera’s card while we make two more copies on our production computer and separate backup system. Our editor works off-site, so the copy they receive is a fourth external back-up. We maintain a level of redundancy until we receive your finished JPEGs from our editor. We also remind all our clients that storing a copy in a safety deposit box is a reasonable protection against disaster. Once we fulfill the terms of our agreement, the responsibility for long-term protection your wedding photos transfers to you. While we don’t explicitly set out to delete older weddings, we do rotate them off our backup system and out of production typically after 6 months. Most of the time, there is only a single hitch on your day when the two of you exchange your vows. Of course, we've seen over the years that unusual can happen along the way for whatever reasons. We strive to be as accommodating as possible for the boutique studio that we are. This common sense approach we believe prevents outside people from getting involved in your affairs. People are like brownies, warm and chocolaty with a fewnuts. So this protects you against an unfortunate event. We don’t charge an additional fee for swapping a date within 6 months as we absorb any loss of employment opportunities as an act of good faith. A postponement of greater than 6 months or a cancelation altogether is handled according to terms outlined in the written agreement. We have a fantastic editor. With all of the talented people we know, there is only one who holds the same high standards we do. They will take tender loving care of the post-production of your wedding photos. Typically, we receive the finished JPEGs back about 10 business days after your wedding. In busy seasons, they will let us know if that turn-around will stretch and be closer to two weeks so that we can then advise you. Our agreement outlines you will see them within 30 days or before. Only in isolated cases of multi-day large events with multiple photographers and massive amounts of data have we ever even come close to 30 days. As soon as we receive the photos back, we start creating your online gallery. We've found that numbering the photos and organizing them makes it easier for you to do what you want to do with your photos later. Once the gallery upload finishes, our viewing system automatically e-mails you to start reliving your memories. Your gallery allows you to view, label, and favorite your photos, mark any you may want private for your eyes only as well as order prints, digital downloads, canvases, and paintings. Your friends and family can easily view and ordertoo. What happens as part of your standard post-production? When our editor gets started, the first thing they perform is an initial loose cull. That's the selection process of what makes it in and what is out. Things that would typically be out are duplicate, similar, or unflattering photos from the best photos. That might include closed eyes, in between mouth expressions, wild hair, fabric or body language. It can also include things where equipment may not have performed such as flash not firing, missed focus or an accidental firing of the trigger as were carrying the camera. We have learned that showing you 5 or more photos of your family group shot leads to difficulty in choosing the best one. Simplifying to 1, 2 or 3 as appropriate choices helps you avoid paralysis by analysis. From there, they look for what photos give you the best version of reliving your memories for additional special treatment. Not to fret, they've done this task for us many times, and they know our shooting styles explicitly and have always met past clients’ needs precisely. They then carefully consider the best form of adjustments for each photo before sending the photos back to us for review. Our standard is producing photos that are both timeless and beautiful. We've learned and even been guilty ourselves of the inherent dangers that come from chasing popular fads and styles in photography. Remember when showing everything in black and white with only the flowers being in color was considered cool? What about thick texture overlays and Instagram-style effects? Do you remember seeing those? How do these dated styles and their pictures look now? We are very thoughtful and careful whenever we choose to present images in Color or Black and White. We love Black and White photography for how it shows emotion. We love Color for the warmth and life it adds to a photo. We choose the one that is most appropriate for displaying the full impact of that photo. We guide our editor about what to make Black and White and what to show in Color. 99.9% of the time couples do understand why we made the decision that we did. For that .1% of scenarios, of course, we can certainly show you the alternative. If you have a strong preference one way or another, just let us know ahead of time. We are happy to listen to your ideas and your preferences. You already know what you like, and we are here to serve. When will you receive the digital files and printing release? Three months after we post your wedding gallery, our online system will conveniently deliver the next steps in the process to you. Included in that e-mail will be a special pin and instructions for how you can request your digital delivery. Once you request your download, the system working in the background creates the Zip file(s) including a PDF release for later printing at the lab of your choosing. Typically 5 to 10 minutes after your request, a second e-mail will arrive with the links. The time it takes to download your photos may vary depending on the connection speed of your Internet. These are the same high-resolution unwatermarked files we use for printing our versions. While you certainly can make further adjustments to your photos on your own, we remind you not to make any changes if you are making the prints yourselves. Unless you are using a color calibrated monitor and understand the ultimate effect of your changes on printing materials and surfaces, the changes you make can produce unexpected, unintended or unsatisfactory results. A classic example is printing everything on glossy paper only to find out it quickly shows every fingerprint that has touched it. Another is using a 1-hour photo lab that doesn't regularly check it's chemical freshness or levels. You've been to those places before, to be profitable through the volume; they set their machines to auto-correct everything. When you pick them up, and they show you the everything, and you only pay for the ones you like. They can make it seem that if something doesn't look right, it's your fault. Not only are the monitors we use color calibrated to our particular lab's print settings but they also watch over each print, often making a test print first for inspection. A trained technician then makes any adjustments reprinting accordingly to deliver a high standard. In our agreement, we outline that we are not responsible for making sure that everyone is in every photo you might want or imagine you want. However, the organic nature of an event means that even when our couples and their families are working together with us toward a goal, someone somewhere will be in the restroom, grabbing a drink, talking to a friend, etc. Often the dynamics of the day or even wedding coordinators can disrupt our ability to get every combination we want. We can look at your images and recommend to you a good candidate to create a new version that includes a missing person. Merging scenes with similar lighting and background is important to help the new photo look and feel as realistic as possible. Swapping heads and body parts, i.e., changing one individual's smile from one frame to another also works best when the two shots are similar. We always carefully consider many other factors when making a recommendation. While not 100% viable, it's very likely we can create a new version by adding someone to an existing shot. Can we get a retouched file for our Holiday card? We love the rush of the Holidays. It's our favorite and also one of our busiest times of the year! We know you may want to include a picture of yourselves, or your moms may want a family picture to send out then. It's our privilege to meet this need, and it's always complimentary. It's a nice way to give back and also meet a need. Just contact us with the specific photo number you want to use, and we will retouch it and send it to you. Can we get the RAW files & the photos that didn't make the cut? Our online gallery is a useful and convenient way for you to view and share your wedding photos. It also offers a variety of printing options that range from digital downloads, standard prints, retouched prints, canvases, and enhanced oil paintings. These are all available in either public or private formats. Public galleries are accessible via our website, but Private galleries are not. To access a Private gallery, just use the custom URL we e-mail directly to you. I found your photos on the web. Can I post or purchase them? Thank you for liking our photography! You are free to link to or share our photos through the buttons provided on our website, but not download, screenshot or take pictures of them and post them. If you are a magazine, blog or someone in the media, please contact us to arrange usage permission before you publish or post. Photos might be available for purchase, certainly if you were the guest of an event, etc. For advertising or commercial usage, we'd want to consult with our bride and groom before making any arrangements. We've explained in more detail our copyright and terms of usage to help answer any additional questions. We will say this comment. Both cameras are the best in class, high performing professional camera bodies. We use Nikon. We are very comfortable with our choice. Just kidding, this silly discussion since the advent of digital photography makes us laugh. We shoot RAW and set our cameras to Black and White for the color mode. If we also capture a JPEG at the same time, it would be BW. The RAW file records in color. Why do you set your cameras to preview in Black and White? Since we shoot RAW, everything is captured in Color, only the preview screen on our cameras displays in Black and White. The reason for doing that we spend a lot of time looking at the tonality and composition of a photo. When we are working, color can distract the eye with its natural beauty and intensity. Black and White simply allows us to see very subtle opportunities to refine our In-Camera Artistry. People recognize us for that skill. Do you teach or hold workshops? We are frequent Educators and Speakers at major photography conventions around the world. We are not currently offering any workshops, but you can join our mailing list to stay up to date on any plans and events. We have an excellent relationship with companies whose values mirror ours. One of these is Queensberry. Another is BWC Photo Labs. At times, they have supported us when we are presenting just as we naturally support them. Typically that may involve our giving away raffle items that they have provided us. We do not have a defined sponsorship or business arrangement with anyone. The list is long and a mile wide. Just kidding. When we need assistance, we have a stable of talent we have worked with in the past who are there to help us. Can I just follow you around, not say anything, and watch you work? We appreciate the sentiment and hunger to learn when people are starting out. When we are working, that is not the time to have distractions from serving the needs of the incredible individuals who hire us. We also believe that there is more to being a great photographer than taking awesome photos. Learning is most appropriate in an educational environment. We are active members of the Dallas PPA. Usually, their meetings are held on the 2nd Tuesday of every month. It’s an outstanding venue for aspiring and professional photographers to Connect, Inspire, & Grow. Not currently. Our schedule is very full. Maybe one day when things slow down. It's not currently something we are looking to develop. Not right now. If we ever do, we will likely advertise the opening on our social media accounts and also by connecting with friends who have college-aged students. I’m a new photographer, a recent graduate, or new to the area. Are you hiring? We are not hiring at this time. If we needed to, we would first start our search by exploring the ranks of our talented Dallas PPA colleagues. That's where we suggest you start on your journey by connecting with the wonderful members.